Estate managers are top-level household staff, responsible for managing a large household or multiple properties for the same employer. They maintain a high level of service, working directly with the employer. Estate managers act as the head of all household staff, supervising gardeners, housekeepers, chefs, and other domestic care workers, usually in more than one location. MoniCare estate managers are knowledgeable in personnel and property management. They also have a wide range of expertise in project management, event planning, accounting, budgeting, landscaping, and security system management. Estate manager candidates typically have business, engineering, or property maintenance backgrounds. This household staff position requires leadership skills, problem solving, flexibility, creativity, and intuitive thinking. Estate managers possess outstanding communication and interpersonal skills and demonstrate superb social etiquette. We place estate managers for long-term come-and-go and live-in positions on a full-time basis (minimum of 40 hours per week). The estate manager’s salary is $50,000-$150,000 per year, depending on credentials, experience, and job requirements. MoniCare is a premier nationwide Estate Staffing Agency. Since 2003, we have been placing exceptional estate personnel with clients in the entire United States. MoniCare participates in a number of Estate Staffing industry events throughout the USA to recruit the finest candidates for come-and-go and live-in positions. MoniCare selects estate professionals who are flexible and adaptable, and have extensive experience in living and working in diverse environments. Our candidates travel for client interviews to all the states and are willing to relocate upon hire. 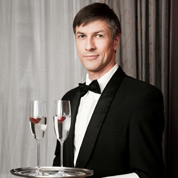 Butlers are a specialized type of household staff responsible for efficiently running a formal household and meeting the employer’s personal needs. A butler is the embodiment of courtesy, discretion, and etiquette. 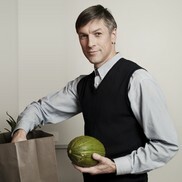 MoniCare butlers are well-educated and have professional training in the field. Their knowledge ranges from formal serving protocol and household maintenance to personnel management and fundamental accounting skills. Our butlers understand the importance of flawless social etiquette, privacy, confidentiality, and problem solving. Household managers coordinate the smooth operation of your household, anticipating and managing daily family challenges. Hiring a household manager with MoniCare is a convenient solution for businessmen, busy professionals or families with school-age children. MoniCare professional household managers are experienced in household duties, administrative tasks, and home maintenance. Our candidates’ work background includes hotel or restaurant management, office administration, personal assistant jobs, and childcare positions. A domestic couple is a married or committed couple responsible for two or more domestic staff positions in a household, where each individual has a separate position. Some common roles include household manager, butler, chef, cook, housekeeper, and nanny. The couple often completes additional domestic staff tasks as well. This solution is ideal for busy families in need of a strong domestic staffing team. Domestic couples are usually provided with living quarters that are separate from the main household. In most cases, the couple works the same hours. Chauffeurs are responsible for driving family members and their guests to business meetings, medical appointments, and social and personal engagements. If the family has children, the driver takes them to school and extracurricular activities. Chauffeurs also oversee mechanical maintenance and interior upkeep to ensure clean, smoothly running vehicles. Typically, the driver is responsible for maintaining the garage area as well. 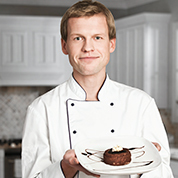 Enjoy fresh, nutritious home-cooked meals prepared by a private chef. Our private chefs have formal education in the culinary arts and experience preparing cuisine for fine restaurants and formal households. Our household chefs prepare a variety of simple, delicious everyday dishes.